Logging onto the Internet should be like opening the door of Aladdin’s cave for writers. So why do so many of them treat it like a trip to the grocery store? I only want to do two things with this post. I want you to be excited about the possibilities that exist for different, exciting, experimental kinds of writing. And I want you to be excited about giving your work away for free. Because for me those are the two things that really matter about the Internet. Most writers (OK, some writers!) accept that they need a blog. A few writers tweet. Unpublished writers seek sites where they can display parts of their work for critiquing, or upload their books to sites like smashwords ebcause they think e-books are “the future”. But how 99.99% of them treat the Internet is as another way to do the same old thing. It’s a marketing tool for selling their books (be they in paper or electronic form). And if they see any innovation in writing substance, it’s the emergence of the blog. It amazes me how little imagination writers often show. Think what happened when artists got hold of film. They didn’t think “here’s somthing else we can make pictures on!” Andy Warhol, The Wilson Twins, Steve McQueen, Sam Taylor Wood, even back to the days of Dali and his collaboration with Bunuel on Un Chien Andalou, all of them saw a new and exciting medium and stretched and prodded and pushed and poked it to see what they could make it do – with no real idea what the answer might be! And the result was a whole new form of art. What I want writers to do is stop worrying and start experimenting! And to get you going, I want to give you a couple of examples. One of the most exciting things about writing for new tech is the way you can disperse information in order to give readers a different kind of experience (it’s arguable that the lines between some forms of novel and traditional online gaming will blur more and more, but that’s not what I’m looking at here). 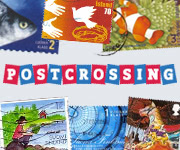 Book crossing is something that grew out of the flashmob movement in art. It’s not really anything to do with writing at all. But you can easily tie it in with the way you write. Book crossers leave books in particular locations, then upload the details of those locations so people can find the books, and leave online comments as they do so. It’s a fun way of enhancing the reading experience and building community (more on this later). You can also disperse your content across the web, giving readers a number of different experiences depending how deep they want to go in investigating the various plotlines. Jeffrey Deaver did this by combining book and blog in his most recent venture. The best example I’ve come across, though, is Thomas Stolperer. Search for him on Facebook, and ask him to be your friend. As you get to know his fellow Facebook friends, many of whom are fictitious, slowly their story will emerge. The Internet is great for collaborative fiction. You can do this through your blog, by opening your work up for comments and input, as Jessica R Brown will be doing with her latest book, Rain, inspired by Japanese horror. There are also full-scale collaborations such as dual author novels written on twitter. And if you want to go the whole nine yards, there are fantastic possibilities using online wiki software. Serials are a very old form of writing, but they’re an art form many writers have lost. Blogs have helped, but it’s the introduction of subscription novels delivered to your phone by sites like textnovel that have really brought serials back to life. The thing about writing serial fiction is you have to make your prose incredibly tight; and you have to end every chapter with a hook. You can’t afford any slack or your readers are lost. Not only can you play with the form of the serial, youcan use it as a great writing boot camp! I’m a great believer in making my work available for free on the Internet. This has become a real hot potato of a topic since the release of Chris Anderson’s book “Free”, and I don’t want to go into all the issues or start justifying “free”. I wrote a long post for one of my favourite blogs recently where you can find the nitty-gritty. What I really want you to go away and think about as new writers is this. Before we can sell our work, we need people to have any interest at all in buying it. At the moment, no one has a clue who we are. If you give your work away for free, they might take a look. And if what you’ve got to offer is really good, a look is all you need. That was the rationale behind organizing the Free-e-day Festival, an online event on December 1st where any independent writer, musician, artist or filmmaker could give something away as a free download for one day. This is barely a whistlestop tour, but I hope it’s given you some ideas. Feel free to ask me anything. I’m happy to expand or digress or help in any way I can! Dan Holloway is a founder member of the Year Zero Writers collective, and organizer of the Free-e-day Festival. He is currently writing The Man Who Painted Agnieszka’s Shoes online and interactively in a Facebook group of the same name. His novel Songs from the Other Side of the Wall is available as a paperback or as a free download. He writes a regular column on UK Indie music for The Indie Handbook.